Photos taken of the Tracker Farm June 23, 2005. 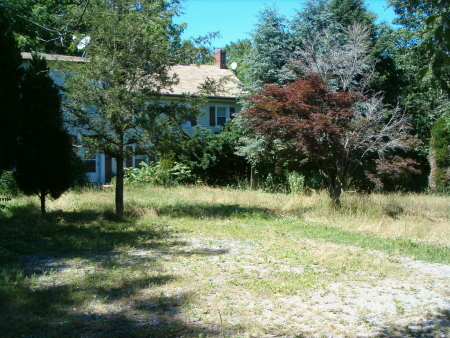 The Tracker Farm was located near Asbury, New Jersey. Many classes were taught here, the last one being in the fall of 2004. Since then the farm has grown over considerably. 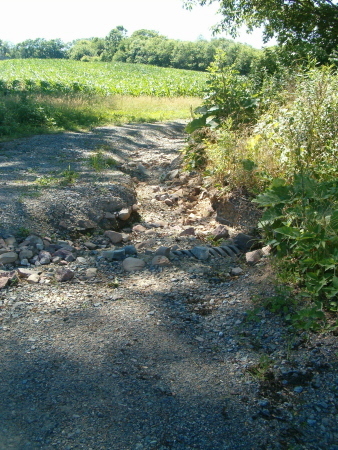 The culvert bend in the driveway is washed out. 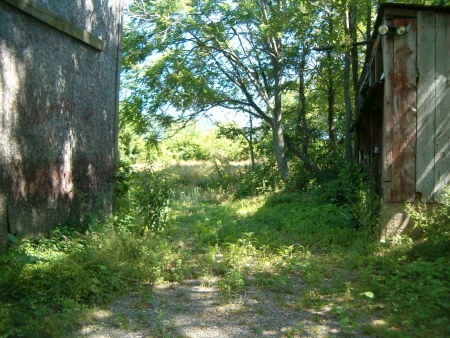 The student parking area is now overgrown. 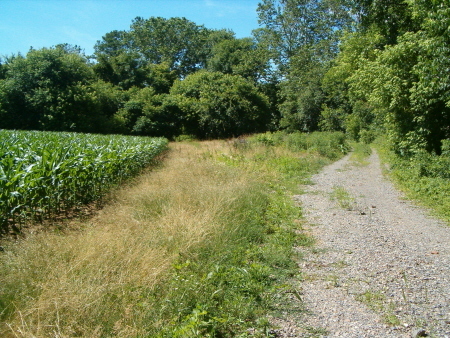 Note the vegetation high in the middle of the road and to the right. 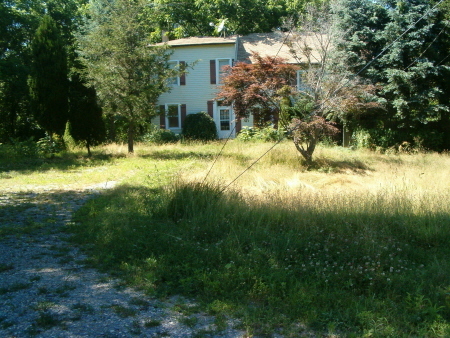 The front lawn of the house is like a meadow. The former office parking area (all gravel) is starting to grow over. 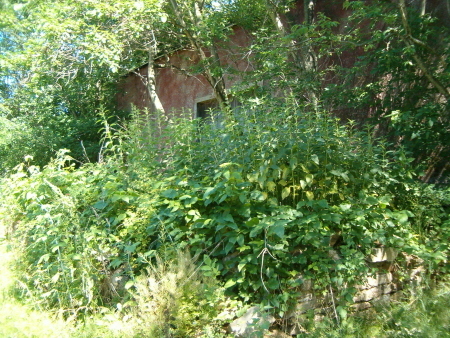 The stinging nettles by the barn. 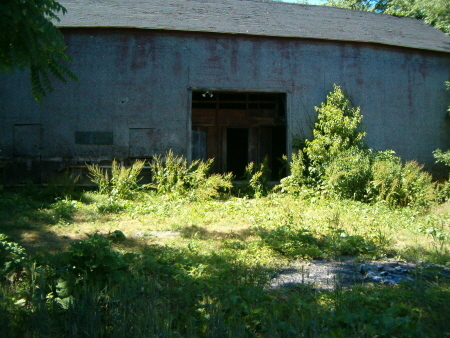 Between the barn (left) and the tool shed (right). 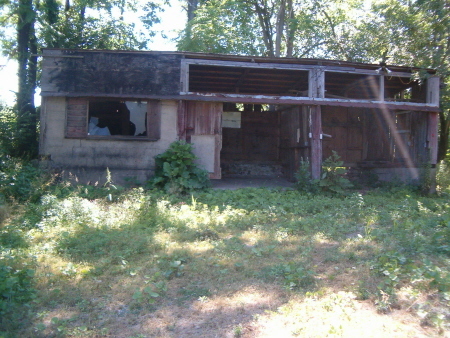 Front of the kitchen/tool shed. The gravel in front is growing in. 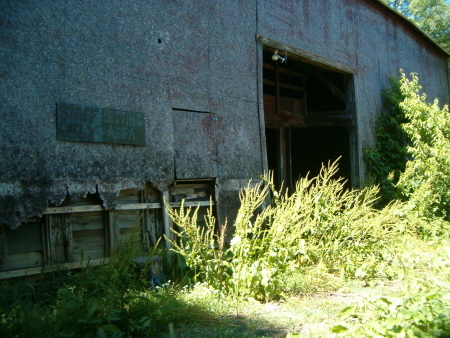 The main entrance to the barn. The fire pit is still visible, where the large grill and hot water box were located. 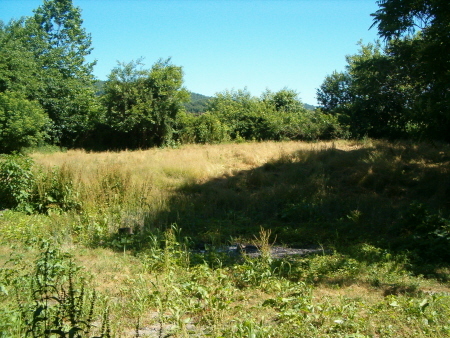 The former "tent city". The old fire pit is still visible in the center of the photo. 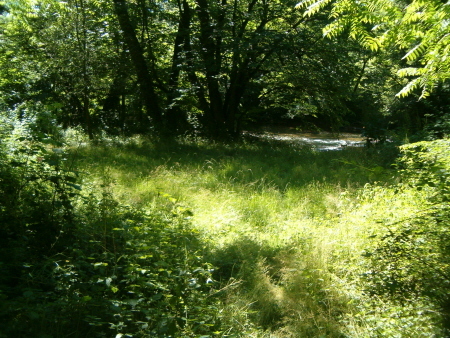 The lower area - Musconetcong River is visible at the back. 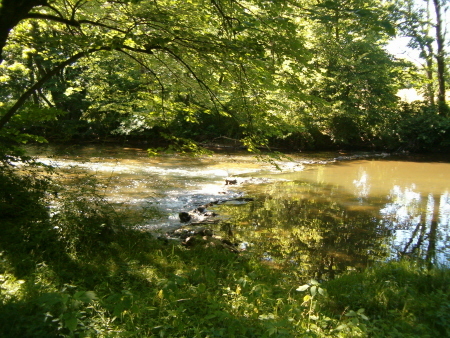 The Musconetcong River. 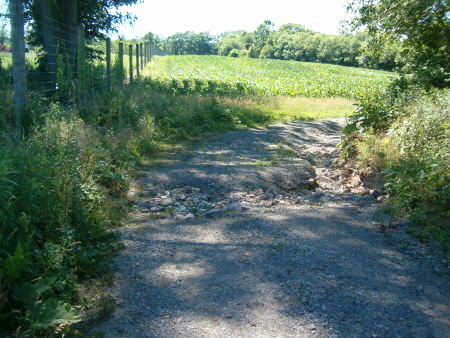 The rock weir is still there. 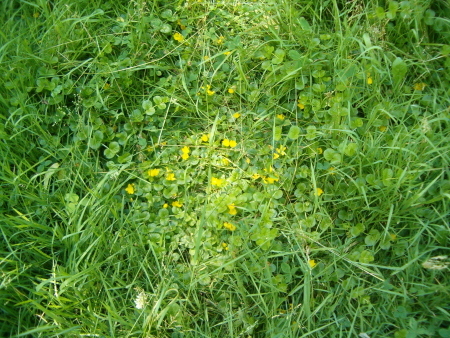 Moneywort on the lawn of the lower area.